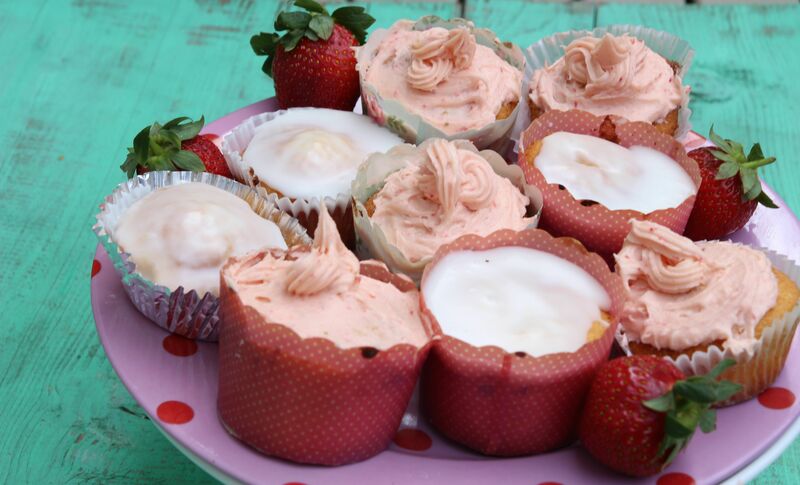 These little cup cakes are dead easy! The recipe is basically Nigella Lawson’s from her book How to be Domestic Goddess. It all happens in the food processor! 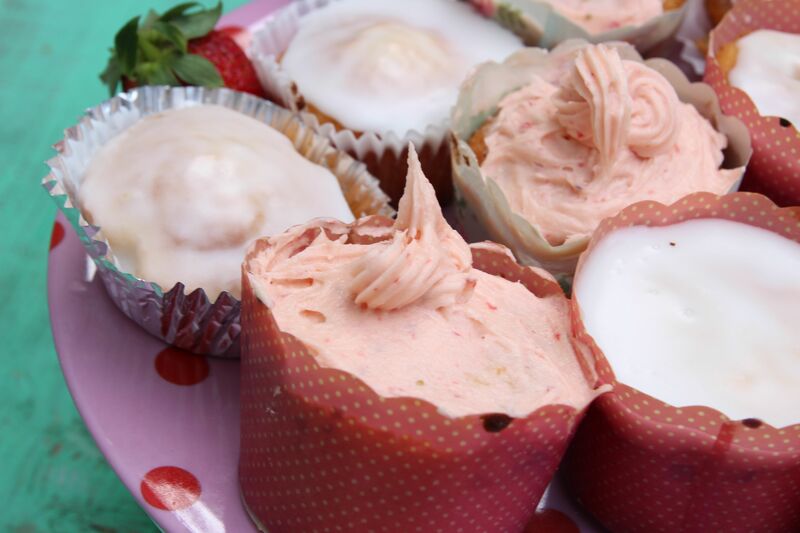 Ice however you like – I chose a strawberry buttercream with real strawberries and a lemon glaze. My piping skills are pretty bad – something I need to learn to perfect! Enough sifted icing sugar to make a thick but spreadable icing. Preheat the oven to 180 degrees C and line a muffin tin with cup cake cases. Put all the ingredients except the milk in a food processor and blitz till smooth. Add the milk while pulsing to make a soft, dropping consistency. Ice half with the strawberry buttercream and the other half with the lemon icing. Put the strawberries and lemon juice in a food processor and whiz to purée. In a separate bowl, cream together the butter and icing sugar until combined, then gradually add the strawbewerry purée, beating continuously. Mix the lemon juice with the icing sugar in a bowl until you achieve the desired consistency. Posted in Cakes, Small Baked Things, Sweet Food and tagged afternoon tea, butter cake, buttercream, cupcakes, How to be a Domestic Goddess, lemon, Nigella Lawson, strawberry. Bookmark the permalink.